The best play of the 2015 MLB season took place Tuesday night in Chicago and it didn't involve a player. 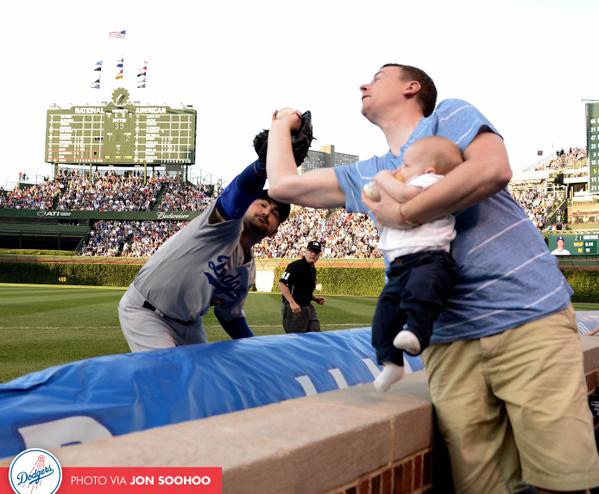 Cubs fan Keith Hartley caught a foul ball one-handed along the first base line while holding his 7-month-old son with the other hand. Tacko Fall, all 7-foot-6 of him, is heading to UCF in the fall. But would he rather be the next Dikembe Mutombo or the next Steve Jobs? Tonight is 'Saved by the Bell Night' for the minor league Brooklyn Cyclones. I'm excited for the 'Oldest Cell Phone in the Park Competition' as well as 'Mr. Tuttle’s Learner’s Permit On-Field Obstacle Course.' This is just one of many great minor league theme nights this year. Fansided has a look at all the best (Game of Thrones Night) and worst (Wizard of Oz Night) of this year's crop. Minka Kelly turned 35 today. Longtime Hot Clicks readers are more than familiar with Kelly, thanks to the guy who used to live here, but it's been a while since I featured her. She earns today's honors (click for full-size gallery). According to usage stats from Pornhub.com, there was a 90% surge in traffic from Alabama immediately following the Crimson Tide's Sugar Bowl loss to Ohio State. 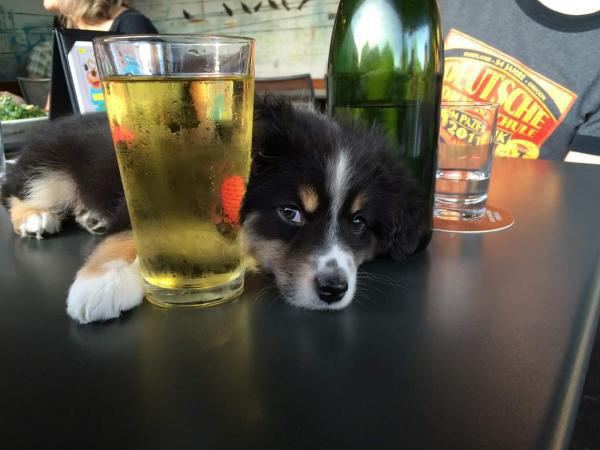 No animals were inebriated in the making of these photos. It's finally happened. A pro athlete has a sponsor for his beard ... This story made me love Miguel Cabrera ... Phil Jackson is delusional ... Barry Bonds is still hitting home runs ... Longtime Sixers stat man Harvey Pollack died at age 93. He was the lone remaining employee from the NBA's inaugural 1946–47 season ... More details on the Sean Combs incident at UCLA ... Giancarlo Stanton hit another home run that hasn't landed yet ... Redskins tight end Niles Paul bought a bunch of pizzas for the homeless ... ​Renaming the NHL Awards ... Did the Broncos attempt to trade Peyton Manning to Houston? ... Enjoyed seeing Kanye West get killed in this radio interview (not sure how old it is though) ... Walt Jr. from Breaking Bad is now a runway model ... This dude woke up with a bike lock around his neck because his friends are mean. The NBA Draft is Thursday and Duke star Justise Winslow stopped by SINow to answer some random questions about Deflategate, his celebrity crush and love of peanut butter, jelly and jalapeno pepper sandwiches. Also, thanks to our friends at AXE (and their celeb stylist and groomer Amy Komorowski) for helping Justise look his best for Thursday's draft and beyond. Judd Apatow and LeBron James perform vocal exercises on the set of the upcoming movie Trainwreck. Who's Excited For Wet Hot American Summer? The series debuts on Netflix July 31. Here's the latest trailer.